For the last sixty years the Gold Coast's stunning Coastline has attracted millions of holidaymakers from across Australia as the country's ultimate tourist hub. Today, the area is renowned for its popularity as a holiday destination and laid-back lifestyle. Yet somewhere in between the golden sands and the green of the hinterland lie Suburbs and man made islands where locals carry out lives that are quite remote from the ubiquitous holiday imagery. This combination of stable and transitory inhabitants creates a unique Cultural identity; one that many artists use as a springboard for ideas and concepts. The resultant art frequently reveals a region's attempts to establish its own voice. All that Glitters is an exhibition containing works by prominent artists who have either travelled through the Gold Coast, or by artists who call this strange city their home. It is an attempt to capture a snapshot of four and a half decades of the most prolific time in the history of the Gold Coast in terms of population and developmental growth. The artists residing here accept the dichotomy that exists between the surface materiality of the place and its unique history. As the population grows, so does its yearning for a connection to the very land and space it inhabits. In this respect the growth of the region has meant the increasing need for its communities to look inwards for some deeper meaning beyond the glitz and the glamour. The emerging artists component of this exhibition demonstrates the critical role they play in combining both representational and conceptual views in conveying aspects of what is happening right here, right now in the city. The Gold Coast not only attracts tourists from diverse cultural backgrounds, it also is home to a population made up of an array of different ethnicities and beliefs. The multicultural nature of the population is perhaps its biggest strength in the development and growth of its identity. Artists have been able to combine their cultural heritage and the subtle aesthetic variations that become apparent with a Gold Coast sensibility which allows them to expand on their ideas in a much more referential manner. Scott Redford, a local born artist who now lives and works in Brisbane, notes this contradiction of living and working on the Gold Coast. Redford's work over the last decade and a half has covered many of the aspects of Gold Coast life, including the influence of surfing, the city's architecture and the tourist culture. "... I think what is important about the Gold Coast is that it is based on the international model for resort cities: Miami, L.A., Rio etc. It is a copy culture but one which is paradoxically both truly international and very local at the same time." It is undoubtedly this paradox that both attracts visitors and migrants alike to its shores and creates an indelibly exciting yet laid back existence. In 1959 John Molvig and Charles Blackman attempted to establish a small art school in Surfers Paradise, and although it did not succeed it did manage to spur artists including Veda Arrowsmith and Laurie Paul onto bigger and better things. Since this school closed there have been very few opportunities for artists to consolidate their skills and knowledge at an academic level. However, the establishment of art, fashion and film schools on the Gold Coast within the last two decades has meant that painters, designers, filmmakers and photographers now have access to a wider range of vocational training. Both Bond University and Griffith University have provided the impetus for artists to reach a higher level of critical conceptualism and professionalism. Thus enabling the momentum to establish the regions own voice and to build upon employment and academic networks to support artists. Emerging artists based on the Gold Coast only have to look at the successful careers of artists such as Michael Zavros and Scott Redford, who both grew up here, to know that hailing from the Gold Coast should not inhibit their careers. The art works of Chris Bennie Mari Hirata and Rachel Ford, and the videos of Mitch Goodwin, Michael Calvino and Dan Sala, are testament to the breadth and depth of artwork being produced on the Gold Coast at the turn of the millennium. As recent, and soon to be graduates, their academic training and experiences of living amongst the green and the gold has undoubtedly shaped and influenced their vision of the Gold Coast. Between the six of them these artists have established film careers, photographic careers, and numerous artist run initiatives which have seen the Gold Coast community come together in solidarity for what drives Gold Coast based artists. As highlighted through events held by The Arc Arts Cooperative, Collidescope artist run initiatives, Art Policia art label launches and the numerous film and art festivals, there is a definite shift towards creating the Gold Coast's own vernacular. Complete with its own set of social networking values and an enviable support base that exists to propagate the creation of meaningful experiential events and exhibitions. Within the last three years the graduates from Griffith University, Queensland College of Art, have been included in numerous graduate exhibitions around the country, and some have also gone on to consolidate their efforts in postgraduate studies both interstate and overseas. This is a healthy sign for the region, as growing competition and the reputation of local artists spreads nationally, drawing attention to the existence of a flourishing art community. In particular Bennie, Hirata and Ford, have forged their own paths within their respective disciplines, in an impressive attempt to shed light on the cultural and geographical implications of migrating to and living on the Gold Coast. All three artists live within close proximity of the beach, a central Social Connecting factor which often serves as a backdrop and point of reference for the artworks they produce. Residing so close to the beach has meant that their day-to-day lifestyles and observations have undoubtedly had an effect on their conceptual framework. "In the television icon series the works strength relies on a visual contradiction that exists between their obvious flatness and their representative value. The multiplicity that is implied pictorially in these works is representative of the multiplicity of meaning that is often associated with life on the Gold Coast." As this critique of the surface beauty and darker underbelly continues, the artist cannot help but suggest that life on the Gold Coast is a "contradiction bound up in the sleek and glitzy wannabe consumerist mentality, at odds with the relaxed beach going atmosphere." Chris Bennie and Mari Hirata both worked for a Japanese wedding company based on the Gold Coast. An important aspect of the parallels which run in their art practice come to the surface when you realise that both have worked in the hospitality and service industry. Their observations of the duality of life styles - of locals compared to that of the young honeymooners - can be observed in the way similar conceptual statements are alluded to in their work. Both see the contradictory social and cultural nuances that arise when working for such a market driven industry. Their work comments on the dichotomous nature of life on the Gold Coast, by comparing its glamorously perceived half with its very much normal counterpart. Born in Japan in 1981, and moving to Australia in 1991, Mari Hirata grew up on the Gold Coast and completed her studies in 2002 with a Bachelor of Fine Arts at Griffith University, QCA Gold Coast campus and a Master of Arts in Visual Arts at the Southbank campus, majoring in photography, During this time, her practice remained strongly focused at refining her concepts with the use of installation and photography. It was not until her final year of the Fine Art degree in 2001, that she developed an interest in photography, and began her "white shoe series. In this series of Works she methodically collects and catalogues images depicting the white shoe in all matter of locations and settings. The initial concepts were spurred on by her job as a Japanese wedding company interpreter, a guide who would assist young newlyweds down to the beach and across various locations across the coast, for a snap shot wedding album and memories of their sojourn to the land of Oz. "I was working part-time for a wedding company, which catered mostly for Japanese couples at that stage, where one of the photo-tour locations was set on the beaches of the Gold Coast. After the wedding, we would go down to the beach wearing the complete wedding ensemble staff uniforms, a full wedding dress worn by the bride, tuxedo suit by the groom, and the well dressed guests trailing behind us. Amongst the bikini-clad sunbathers, we would struggle down the hot dunes in our high heels filled with sand, dust, and perspiration. A few photos later, we would then proceed to scramble up the sand hill to our awaiting limousine, to head to our next location." The work included in this exhibition, Delirium, was shot at Broadbeach where the shoes, lined up facing the Surf as if lifeguards in anticipation of the heady surf that's to come, appear to be sizing up the ocean swell. Living along the coastline undoubtedly means you are witness to numerous surf Carnivals and surf tournaments, in a sense, a generational viewpoint of Gold Coast culture as nippers attend training and carry on a tradition, which began when their families migrated to the coast. Hirata, having lived a mere stroll away from the beach for the last two years, cannot help but be drawn into this surf culture and its deep rooted reverence for the ocean. As hundreds of holidaying swimmers and sightseeing tourists traverse the sands of the Gold Coast, the image of alone photographer setting up a row of shoes in the sand is a fascinating thing to behold. 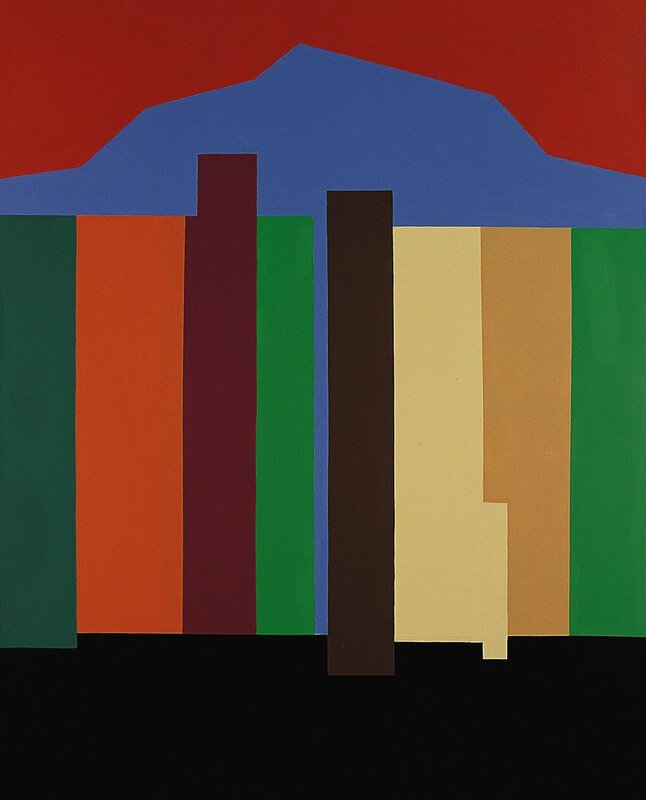 This fascination with the simple placement and arrangements within urban, tropical, domestic and coastal landscapes has inspired many a unique and bizarre composition. Here in lie her skills as an artist to couple the mundane everyday object with a strange paradigm. The shoes as objects of fetish and desire, as the symbol of feminist reproach against society's constant scrutiny and measuring up against the set norm, emerge not only as a white shining beacon for numerous socio political constraints - they "do the walking for the viewers who find themselves in familiar yet puzzling locations because - surely no one would wear a white high heeled pair of shoes to the beach? "My work incorporates the significance of where I am currently situated on a global scale. The Gold Coast proposes ongoing development and changing characteristics, but at the same time, it is also a very simple place with a relaxed atmosphere"
Viewers of the work have been known to comment on their belief that the white shoes are in fact a symbolic representation of the White Shoe Brigade - a group of real estate developers synonymous with the majority of the larger early Gold Coast establishments. The artist to date has not ruled out the connotations to such characters completely! Her success as an artist has arisen out of diligence and a dedicated production of work for sale through commercial galleries, which in Queensland is no small feat as the art buying public is yet to catch up with their Southern Counterparts. There is a healthy growth of interest in photo-media based art works and as investors and enthusiasts alike become aware of the existence of artists such as Hirata, the future for Gold Coast based artists looks more promising. In similar proactive style, Rachel Ford is an artist who has carved her own niche out of a specific career path which incorporates her passion for art and the need to create a sustainable application for her particular skills and training. Ford was born in Manly New South Wales, but she too grew up on the Gold Coast and has lived here for the majority of her life. Also a recent graduate from Queensland College of Art, she is one of the four founding members of the arts co-op Art Policia, Along with fellow QCA students Nicholas Batchelor, Cameron Anderson and Christian Halford, Ford helped to establish the art label. The savvy group of artists realised that the market for fashion T-shirts is still an untapped avenue to explore here in south east Queensland, and so combined their skills as artists to design, manufacture and market One-off T-shirts and fashion items with artworks depicting imagery from the media and popular culture. Upon the completion of their studies, Art Policia aims to establish a long-term business within the fashion industry. Their one-off prints and designs have already been snapped up by two local fashion stores Toy and Cadillac Cowboy, proving that theirs is a niche market. Rachel Ford's artwork is inspired by the 'nature of the image' within this age of 'mechanical regurgitation', and her approach is to combine appropriation and imitation of the image allowing her to explore a new relationship through the juxtaposition of the Concept and materials, The intention here is to challenge the preexisting connotations that belong to the original image. Her work is primarily a social statement, a comment upon the fast paced nature of modern society and the continual bombardment by the media of commercial imagery. In an attempt to investigate what characterises the 21st century, she makes use of both traditional and contemporary art mediums. Modern technology has allowed the artist to experiment with diverse mediums and to make art that is immediate, and effective through its use of what is familiar. The ready availability of high quality colour printers and home publishing suites has allowed for the holiday happy snappers and photography enthusiasts alike to explore their interest. Propelling this growth of consumer culture is the advertising industry's relentless drive to convince the masses of what is 'in' and which perfumes, jeans and shampoos to buy. In this respect what drives Fords work is an interest to push the blurred boundary between fine art and commercial imagery, using both concept and medium to consider this. She couples stencilled iconic visual signs such as the designed motifs for bathroom doors with the high-end process of digital printing into canvass in a statement that is as much about challenging notions of what is art and what constitutes a product. The work appearing in All that Glitters, the digital print El Rancho, was created using photographic images she took of the neon signs of the El Rancho Hotel at Miami on the Gold Coast. The initial digital photograph was reworked using Photoshop and coupled with the blurred image of a lone figure and repeated stencilled outlines of male and female toilet sign figures to create a montage with the hotels vacancy sign looming in the background. Drawn in by the strong colours that radiate from the fluorescent lights, the artist has captured the passerby's snapshot glimpse of a hotel on the highway and wondered out loud "how many people have stayed in this place?" The viewer is subjected to a multitude of images in the one print, yet the composition of the work has allowed for a degree of revealing layers to be pulled back or observed beyond. The layers of images reflect this sense of the Gold Coast as perceived thoroughfare, and a temporary destination as much as they celebrate, as Ford puts it, the "tacky-ness' or the 'glittery fakeness' of the photographic image. It was the "contradiction between glamour and the banal' that intrigued her, a characteristic undeniably of the Gold Coast. "The Gold Coast promises glamour, excitement and beauty, yet attempts to provide all this in a rather banal and fake manner. Surfers Paradise is the perfect example of this. Marketed as the tourist playground with fun, fantasy, beauty and pleasure, yet on close examination what we really find is that it is cheap; the seedy ugliness of the underbelly of its nightlife, drunk teenagers and meter maids that resemble prostitution more than glamour and glitz. Most importantly you have to realise that life outside of the Gold Coast does exist. The World is not just a 24 hour party where it is beautiful one day, perfect the next." The contradictions and absurdities, which exist in the day-to-day life of the Gold Coast, have a profound effect on its inhabitants, as they become aware of the existence of a duality between those that choose to live here and those who see the Gold Coast as a holiday escape. The difficulty encountered by, and used, as a decisive tool to draw out discussion within the artworks of all three artists, is that of living on the Gold Coast and having the ability to look beyond the holidaymakers trip. As hotel rooms are filled and emptied out again, and the beaches cleaned for another day of use, what remains are the long-term residents who live amongst this paradise. Theirs is the Gold Coast of Rachel Fords El Rancho inspired days, of watching the shadows grow across the sand, of the routine of lifeguards and nippers training, and of looking out past the rows of apartment towers towards the hinterland. The residents, contrary to the popular perception of the Gold Coast as a city of affluence and wealth, also recognize the reality, a place of high unemployment and a struggle to make ends meet. The artists who choose to make the Gold Coast their home choose so not only because of the life-style it affords, with its laid back atmosphere, but also with an eye towards the infinite possibilities awaiting the future of this community. The reason they came here in the first place has much to do with wanting the relaxed lifestyle, but also about wanting to make it their own, distinctive in its acceptance of a higher state of living and rejection of all that is fake and all that glitters falsely. Curator Mandana Mapar is a photo-media artist and recent graduate from Griffith University, Queensland College of Art. Along with fellow graduates, she initiated Collidescope in 2001, an artist Co-Op aimed at furthering the artistic careers of Gold Coast based artists through one off events. All that Glitters: Contemporary Visions of the Gold Coast follows on from the exhibition A Place in the Sun. 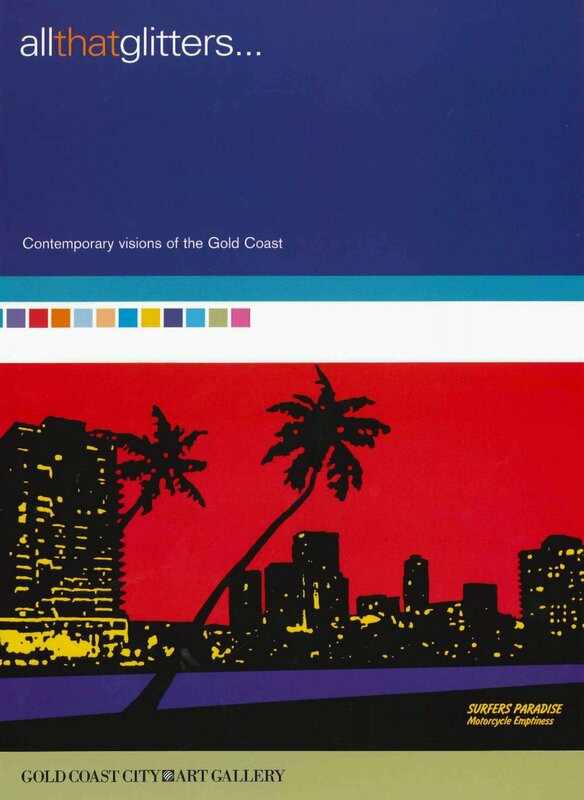 Historical Visions of the Gold Coast that was held at the Gallery in 2001.